Adventure comes in many forms. 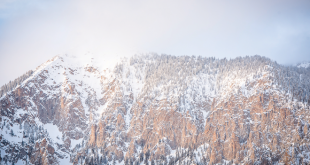 Than Acuff recently skied Coney’s and mentioned it was “variable.” Associate editor Aimee Eaton texted that she went on an “adventure ski” out Washington Gulch Tuesday morning. Pretty much any skiing this year qualifies as an adventure. Trying to find powder turns on Coney’s or up Schuylkill is being the ultimate backcountry adventure optimist. And that’s a good thing. I have always pitched that the ski mountain/resort community should market itself as an adventure Mecca because that is what this place represents. 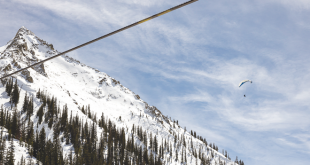 “Find your adventure in Crested Butte” would be the tagline. It wouldn’t just be pictures of great skiers slashing Big Hourglass but also photos of a six-year-old beneath the thick, vibrant Milky Way or around a winter bonfire, a new couple hooking up at the Ice Bar, a hipster dealing with an icy sidewalk, or a rowdy group of friends enjoying the Nordic Yurt. Adventure is pretty much anything that puts someone out of their comfort zone or exposes a person to something new and wonderful and there are plenty of such opportunities around here—even in a season like this one when the snow is, shall we say, a tad lean. I recall an old Crested Butte Mountain Resort media dinner in the late 1980s or early 1990s where Warren Miller was the speaker. His message was that skiing was an adventure no matter the skill level. The top skier in the world could hit air on a 60-degree slope but the grandma who was getting off the Peachtree Lift for her first lesson would feel similar adrenaline. That message has stayed with me. It is one of the best things about the primary sport of our winter community. Adventure is what you make it. There is always opportunity for challenge, for being in the fresh air beneath impressive peaks and for discovering something new and wonderful about yourself. You can feel the adventure so many ways through being in these mountains, by taking it up just one little notch beyond the personal comfort zone or by going the other way and just breathing in the scene around you on a mellow cruiser run. The best skiing on the mountain has to be when the groomers hit the slopes so the scores of new people hiking in the early morning or late afternoon on tele and AT gear get the best corduroy in which to set an edge. After lunch there isn’t much opportunity to set an edge right now. There is a former ski patroller who is reminding everyone on social media that the work you do now will pay off later this season. He is not wrong. As he points out, “You gotta ski to get better” and “Low tide skiing improves one’s skill set so you can pound in any condition.” So why not get after it? It’s out there. While it may sometimes be hard to motivate to the hill, the fact is that once there, pushing around a wee bit of snow is pretty fun. It’s better than watching another episode of Judge Judy, isn’t it? Or working? Word is that the snow packing crew will begin working some of the extremes this week to set whatever snow is on the steeps. That will pay off when we get the next big storm. But my guess is there will be a lot of new “rock skis” being created as part of the snow pack adventure. 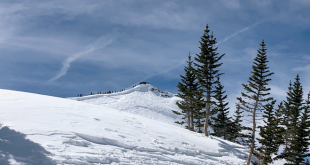 I’ve mentioned this before in similar years: CBMR’s original ski school director Robel Straubhaar used to say he was never worried about when the snow would start in Crested Butte—he was worried about how long it would last and when it would stop. That was before Global Weirding was a thing but it can still be applicable. In the meantime, be aware of the adventure opportunities—purposeful and accidental. Skiing Jokerville these days, on purpose or by accident, is enough to get most people out of their comfort zone. So is looking for backcountry turns anywhere at the moment. Being able to bike Hartman’s (on skinny and fat tires) or cast a line in the East River in January is a different kind of adventure. It is just good to be out there. Most people seem to be resigned to a low snow scene, especially after the epic two weeks that started off 2017. There is balance in nature after all. But we are where we are, so grab an adventure where you can get it and remember that it is there if you want to find it. Go find your adventure.